The "Kingsland Firm" is a model in Corsicana's value-based Savannah Living line; one of the better-selling low cost mattress groupings in the industry. 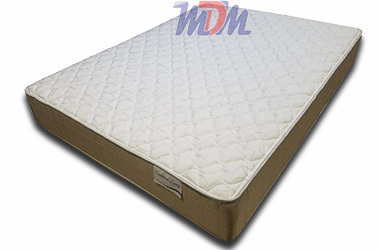 This is an affordable, firm mattress that is available in all standard sizes. The 360-degree perimeter support that is offered by high-quality foam encasement that is a must for any stable, firm mattress. Extra Firm Foam layers provide a medium-medium firm level of comfort and, the VertiCoil Elite innerspring unit is an upgrade from similarly priced models in the industry. The TruCool cover is cooling and quick-drying; helping to avoid a hot, interrupted sleep. For 2018, Corsicana introduced the Kingsland mattresses; unparalleled comfort for a very low price. Already, the Kingsland Firm has become a favorite of our customers in the Metro-Detroit area. Much like their Davisburg models, the Kingslands offer a TruCool cover; soft touch fiber that is cooling, quick-drying and moisture wicking. The Extra Firm Foam layers are truly supportive and recognizable upon first try of the mattress. 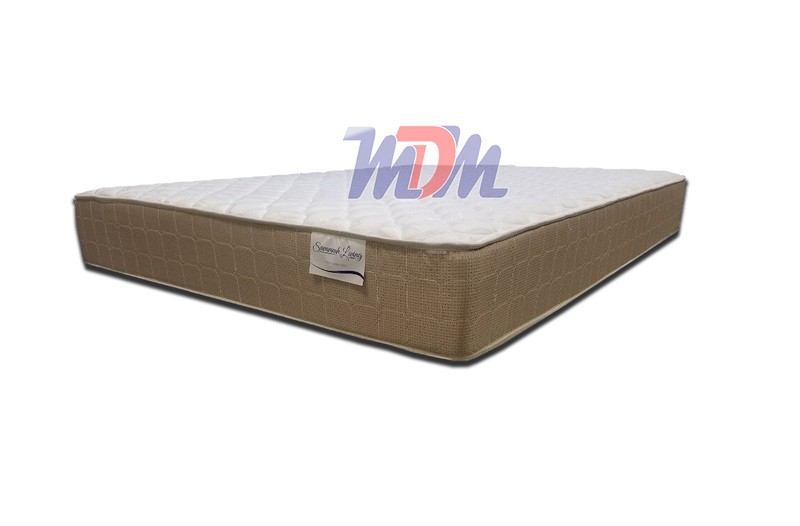 Keeping your sleep surface stable, this model offers complete perimeter support. The VertiCoil Elite innerspring unit is engineered with higher density than typical VertiCoil units; a noticeable improvement. If it's an affordable firm sleeping surface that you're seeking, there really isn't a better value than the Kingsland Firm. If it's a slightly firmer, thicker model that you are looking - for a reasonably low cost - the Luxury Firm, Pocket Coil Azalea by Symbol is another American-made option that is available in custom sizes.